Ralph Lauren’s latest foray into wearable technology is an update on their coveted Ricky Bag to include phone-charging capabilities and integrated LED lights. That way you can actually find your keys hiding at the bottom of the bag. The Ricky Bag is handcrafted in Italy and comes in any color you want, as long as that color is black. Earlier this year, Ralph Lauren debuted their Polo Tech Shirts at the US Open to monitor vital stats during exercise. Continuing in this vein, the fashion house has expanded into accessories to meet the growing demand for wearables. On-the-go power for smart phones and other devices is a real need for many people and the updated Ricky Bag With Light offers a solution, albeit a spendy one. 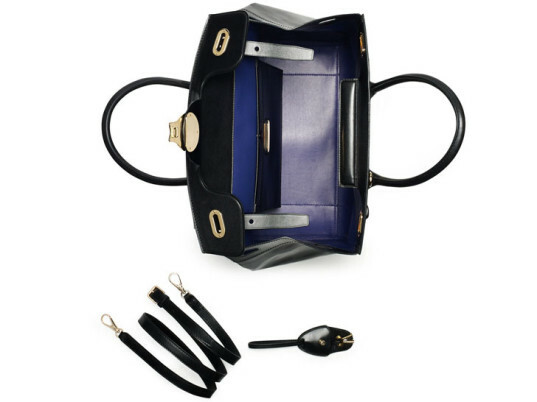 A portable USB charger is integrated into the purse, as well as four LED lights that turn on when you pop the bag open. The Ricky Bag With Light certainly isn’t the first phone-charging purse on the market, but it’s probably the most expensive. With a price tag of $5,000, the Ricky Bag is more of a novelty than a problem solver as it only integrates off-the-shelf technology into the purse rather than revolutionizing wearables in purses. For way less money, you could buy a regular Ricky Bag (only $3,500) in whatever color you want, buy a portable battery charger and throw in an LED flashlight for good measure. 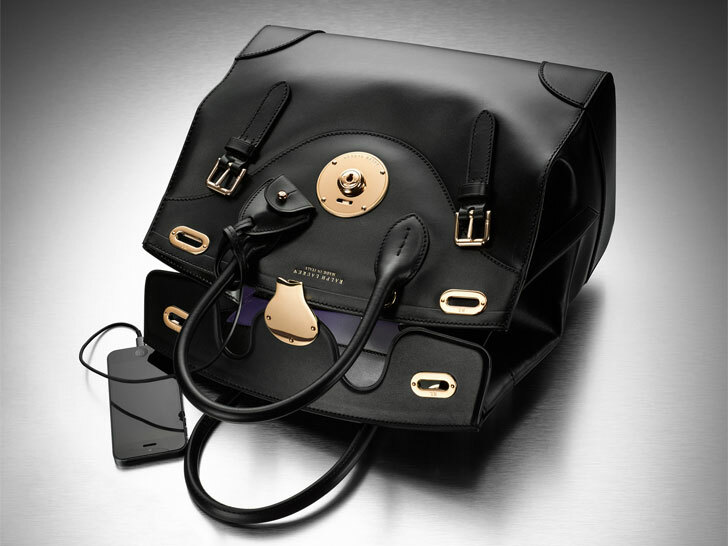 Ralph Lauren's latest foray into wearable technology is an update on their coveted Ricky Bag to include phone-charging capabilities and integrated LED lights. That way you can actually find your keys hiding at the bottom of the bag. The Ricky Bag is handcrafted in Italy and comes in any color you want, as long as that color is black.